A hawk was circling overhead, holding a little puppy in its grasp. At that very moment, the hawk loosened its grip, and the puppy fell downwards in a horrifying rush. 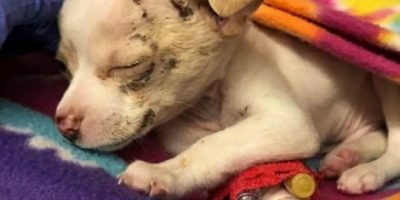 The workers hurried up to the pup and wasted no time taking him to a vet nearby. 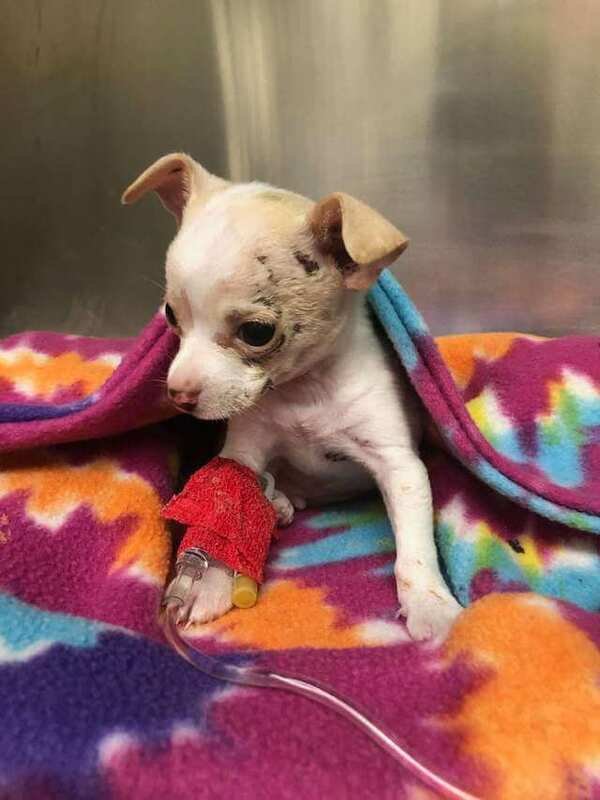 Miraculously, the Chihuahua puppy survived the fall. 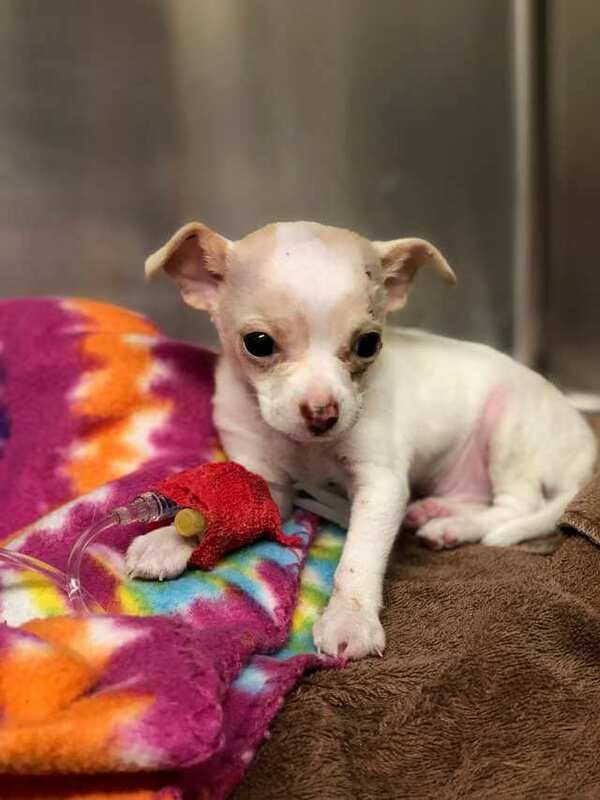 He wasn’t chipped and no one came to claim the tiny tot, so the Austin Animal Center, or AAC, took him in. 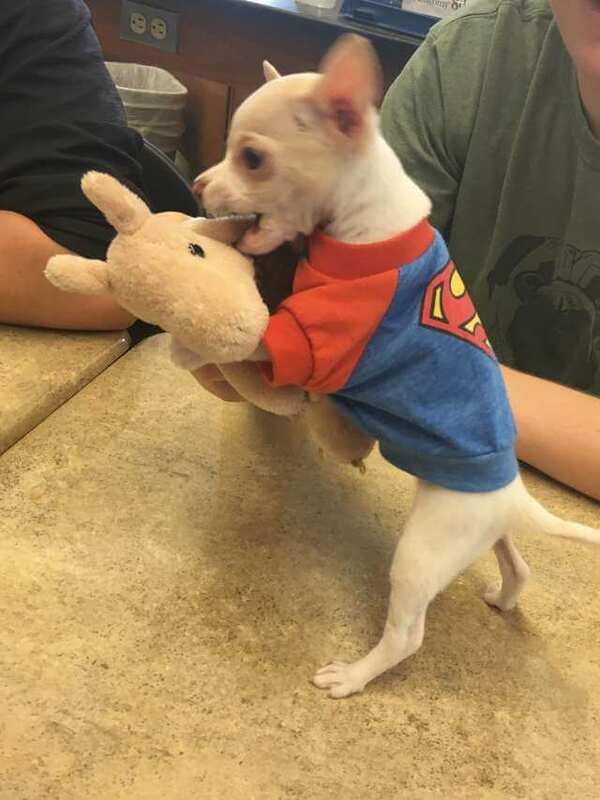 His story impressed shelter staff and volunteers, who began to refer to him as the Miracle Puppy. 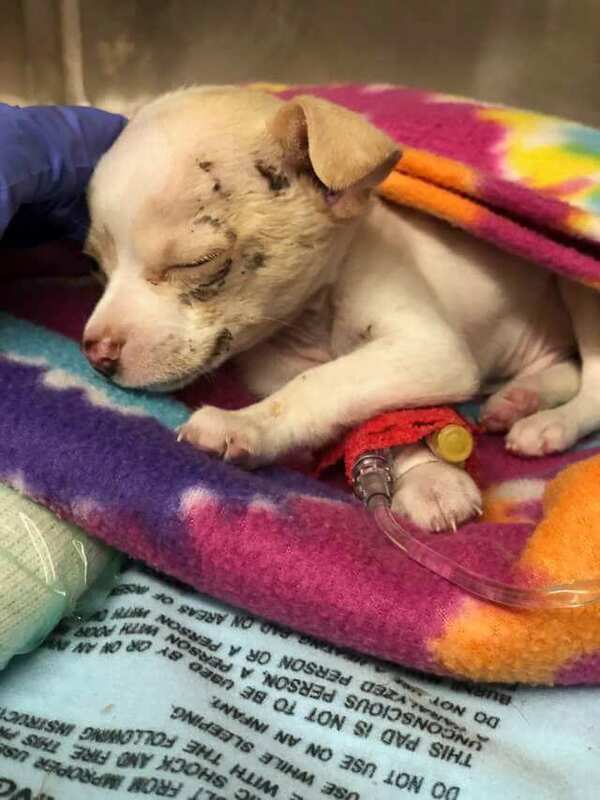 At just six weeks old, the puppy had already been through his fair share of adventure and misfortune. Maybe that’s why this pup, named Tony Hawk by the shelter, wanted to be showered with affection and friendship. While being hooked up to an IV, he kept wanting to greet every staff member who walked by his kennel and would walk to the front while still attached to the fluid supply! Tony Hawk doesn’t have severe injuries, and all he has is some minor cuts and scabs. It’s unclear where he came from, and he may have been stolen from someone’s yard by the hungry hawk, or perhaps had been living as a stray. 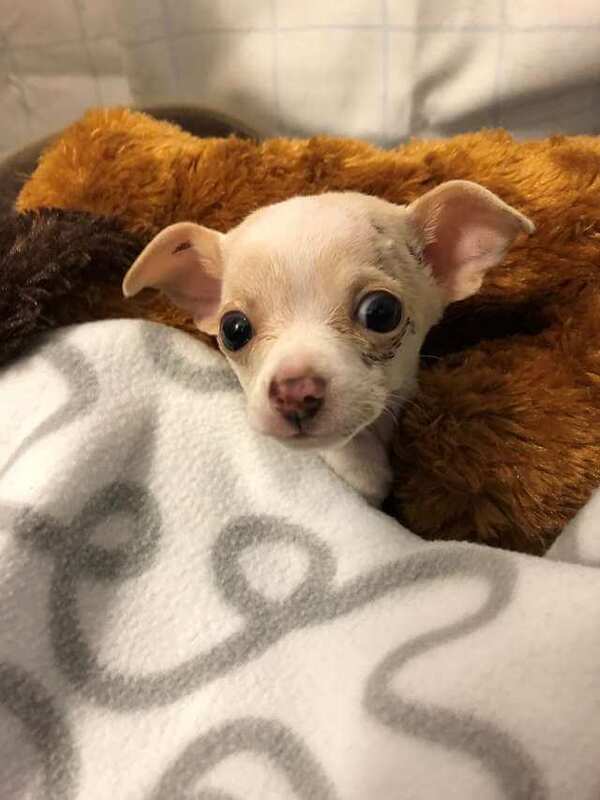 But none of this matters to the pup, who is having a good time at his foster home, and has been swamped with huge numbers of potential adoption applications! Tony Hawk has a bit of growing to go before he can be adopted, but it won’t be long till he finds his forever home. We’re sure he’ll go on many more – hopefully safer – adventures with his new family!